Thai Translations » Orchid of Siam - UK Visas for Thai Nationals, Appeals Tribunal Help/Advocacy, Immigration Law Advice, Bangkok & Epsom Offices. 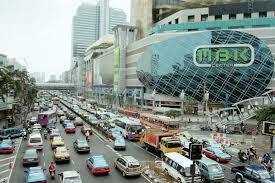 We offer a Thai-English-Thai translation service of documents or in-person verbal translations. Our translator is qualified by the Chartered Institute of Linguists in the UK and works as a member of the UK Visas & Immigration / Home Office Central Interpreters Unit. All our translations are accepted by the Home Office, UK Visas & Immigration, HM Revenue & Customs and all UK Police Forces. In Thailand our translations are accepted by the Royal Thai Ministry of Foreign Affairs and the British Embassy. For legal interpreting at Police Stations, detention centres or in Courts including the Immigration Appeals Tribunal requests for our services must be made via the Court Service, Custody Officer or Home Office to qualify for free or subsidised service otherwise clients will be liable to pay our full fee. We supply free quotations for translation work. 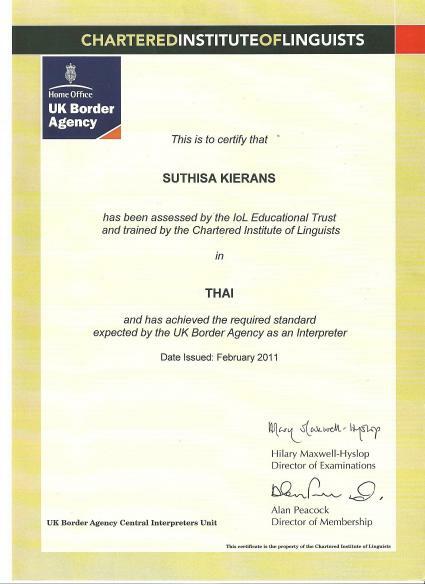 The Home Office certificate of competence of our senior translator is shown below.